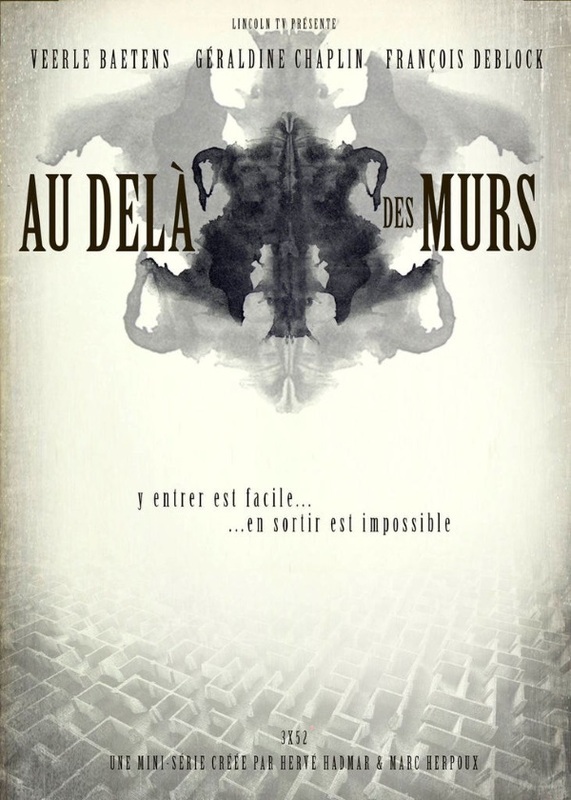 “Au delà des murs” is a 3-part miniseries from France that tells the story of Lisa, a young woman, who surprisingly inherits the old and very strange-looking house opposite to her apartment – even though she never even knew its owner. Once she moves to her new home, she hears strange noises behind the walls, and then something that sounds like a whimpering child. She tears the wall down with a sledgehammer, and behind it, she finds a labyrinthian set of corridors that ultimately lead her into another world. Now, she has to find her way back. Overall, I very much enjoyed this mini-series – which was screened to us back-to-back – however, I think that it might even have liked it better as a regular 2-hour movie (which would have meant cutting around 20 minutes). For example, I think that you would have been able to cut a little bit at the beginning without using much. Everything about her job is just setup, so that we get to know her a little better, but ultimately, her profession doesn’t really have any relevance for the rest of the story. In my opinion, it took the mini-series a little bit too long until Lisa finally ended up in that mysterious house, and then, beyond its walls. However, once she did, Hervé Hadmar manages to create some incredible tension. Those scenes of her walking through the corridors all on her own, losing her way in the labyrinth, and not knowing what she is going to find in the next room, were extremely suspenseful. He definitely knows how to build a nice, creepy atmosphere, and perfectly captures this feeling of being alone in an unknown and possibly dangerous place. Overall, the first episode takes a little bit to really get going, but ends very strong. The second one introduces us to Julien, another person who got stuck in the house, and the strange world beyond its walls. That means that Lisa isn’t alone anymore, which decreased the tension for me a little bit. However, now the mystery about the house and this world itself come to the foreground, offering a couple of nice reveals. Also, even though they now mostly explore this world together, there still are a couple of creepy scenes and tense moments, as well as disturbing images. What I also enjoyed was how surreal it all was. The rooms beyond the wall don’t follow any particular style, instead you go from, say, an old-fashioned, small personal cabin to a huge hall with a totally different architectural style. Which made this episode in particular very interesting, because it was intriguing to see what they would come up with next. They really did great work on those sets and locations. There are also a couple of disturbing scenes and ideas. And I really loved the ending of the episode, first with the foggy woods, and then the cabin near a lake. Overall, the final 10 minutes of episode 1 and the entirety of episode 2 were my favourite parts of this mini-series. Which isn’t supposed to mean that I didn’t also like episode 3. However, there’s a pretty strong shift when it comes to content and tone. Suddenly, a mistake of Lisa’s past, as well as her growing affection for Julien, take center seat, and while both are ok, I preferred the creepier tone of the first two episodes. However, after only a very short cameo at the end of episode two, this one now finally provides us with a prolonged appearance by Geraldine Chaplin, which is always a plus. Nevertheless, I have to say that the romance-part of the episode didn’t totally convince me, given that they’ve only known each other for a couple of hours – at least, that’s the impression that the mini-series gave me. Also, I found most of the ending – especially one particular twist (but also the way Lisa is ultimately saved) – extremely predictable. And overall, I couldn’t shake the feeling that in episode 3, you again would have been able to cut a couple of minutes (in order to get to a 2-hour-running time, thus converting the mini-series into a regular movie) without losing anything essential. Having said that, the third episode also featured a couple of tense moments, nice sets and haunting images, and even though I could see it coming from a mile away, I nevertheless really liked the way the story ultimately ended. Overall, I really enjoyed “Beyond the Walls”. It mixed up a couple of old and new ideas, offered some truly terrifying scenes and disturbing images, a nice mystery, some beautiful sets and locations, very good performances by the actresses and actors, some interesting tonal shifts, and on top of that, an unusual romance as well as an emotionally satisfying conclusion. I’m just not sure if it really had to be a mini-series, and strongly suspect that it might have worked even better as a regular, 2-hour movie. This entry was posted in /slash, cinema 2016, movie reviews, new releases and tagged 2016, Au delà des murs, Beyond the Walls, François Deblock, france, Geraldine Chaplin, Hervé Hadmar, Lila-Rose Gilberti, mini-series, Veerle Baetens. Bookmark the permalink.